I love getting to work with Hachette Book Group and give away awesome books!! Three lucky Readers will each win the following four books!! Sometimes love finds you when you least expect it. Lana Biel has always wanted to shake the dust of Vermont off her feet and see the world, one exotic country after another. But when a lighthearted spring fling changes her life forever, she turns to the one man whose strong shoulders can lighten any burden: her best friend, Eli Ward. Eli has always been there for Lana–after all, that’s what best friends do. But Lana isn’t the only one hiding something. Eli is keeping secrets of his own that threaten their relationship. Industry insiders expect Rebecca to fight her denouement, and inquiring minds have already seen the feisty maven trading quips and searing glances wtih her arresting new boss. Rebecca swears she’ll reclaim her shining star status, but can the dishy diva even cook? And how can she ignore David’s arousing effect on her sensibilities? That's 26 possible entries!!! Holy Cow!! Giveaway ends on November 30th 2010 at 11:59pm. Open to US and Canada residents Only. A valid email address must be in all comments. Winner has 48 hrs to respond or new winner will be drawn. These are great books, I'd love to read them. I subscribe to the Hachette Newsletter. I would like to read Beautiful Creatures by Kami Garcia and Margaret Stohl. I am a Hachette Book Group newsletter subscriber. The Hachette book I am really looking forward to is Naamah's Blessing by Jacqueline Carey, which comes out in June 2011. I would also love to read the book Oogy from their site. Subscriber of Hachette books email. I would like to read Smitten by Rachel Hale. I voted at the fence! I already get the Hachette newsletter. Thanks. Button on sidebar of blog. I signed up for the Hachette newsletter. I would like to read Rescue by Anita Shreve. 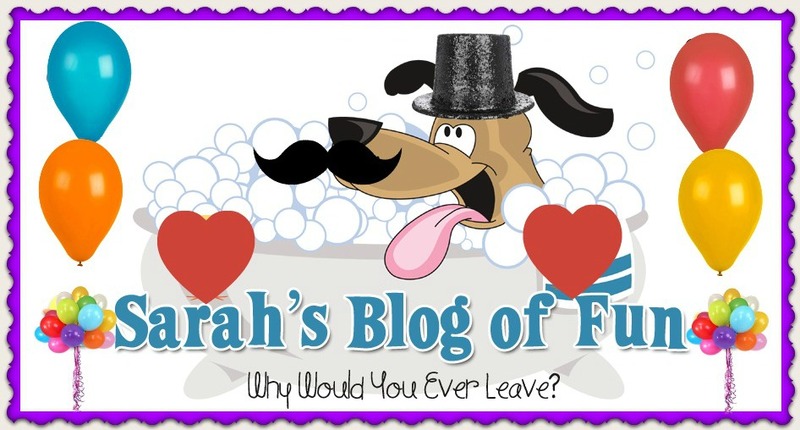 You have just voted for Sarah's Blog Of Fun! I would also like to read Oogy. I would like to read Confessions of an Improper Bride. I would like to read Safe Haven.